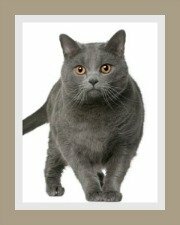 The Genetta Cat has not as yet been recognized by the major cat registries. It is early days and recognition takes time. This dwarf cat is the brainchild of Shannon Kiley of the United States. It is a new cat breed having entered the 'cat walk' in 2006. The goal of the breeding program is to create a short legged cat with a wild looking coat that resembles the wild African Genet. This cat combines the short legs of the Munchkin cat and the exotic spotted coat of the Bengal and Savannah cats. According to breed founder, the wild Genet has not been used in her breeding program. The only 'wild blood' would be from the Bengal and Savannah cat lineage. The ideal Genetta cat is long and tubular in shape and the neck is also long and slender. It should have firm muscles and yet be lean and certainly not bulky. The Genetta has short legs and its tail is generally longer than the body and thick. Note: There are Genettas with 'normal' length legs, but these cats are referred to as non-standard. Its head has an elongated appearance. To mimic the wild genet, it should have a weak chin and a muzzle which is weasel-like in appearance and its ears should be large with rounded tips. The Genetta's eyes are large and set at a slant. The eye color ranges from brilliant green, deep amber to dark brown. The coat comes is Marbled and Spotted patterns and they come in Brown Tabby and Silver Tabby. The coat should be thick, soft and short and a glittered or glossy coat is preferred. The Genetta is probably suited to indoor living and will adjust well to living in an apartment provided that it has sufficient space to exercise and explore. If owners create an indoor / outdoor escape-proof adventure zone it would be perfect for this cat. 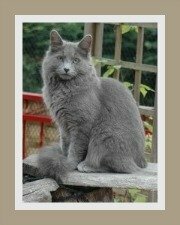 This is a great cat for any family. Younger children do need to be taught that cats do not enjoy rough play. 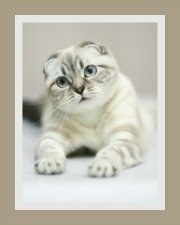 They are alert, intelligent cats that display a great deal of confidence. 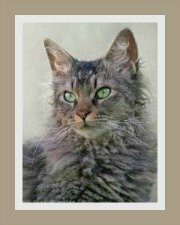 Genetta cats are sociable and friendly, active and playful. When they are not running around, they love to cuddle-up on a warm lap. 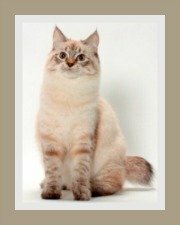 This is a low maintenance cat breed and a weekly brush will be all that is needed. 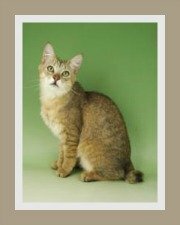 We are not aware of any health or genetic issues related to the Genetta cat. The Munchkin, Bengal and Savannah cats were used in the breeds' development. Some breeding lines of these cat do have hereditary conditions. It would be in your interest to discuss these with the breeder. Your cat will need to be vaccinated against feline infectious diseases and be de-wormed regularly. Your cat needs to be fed a well balanced diet. You have a choice of raw, canned or dry cat food.